Ancient mountain hut, upgraded in harmony with the surrounding that keep intact all the original features of the building. The apartment has been renovated with care. Is completely covered with wood of fir like all the furnishings. There’re furnishings very precious that give at the hut a charm of ancient flavour. The natural wood makes the building warm and hospitable. The house is detached and has three floors. Outside there is a big garden with barbeque and a table for 10 people. Some decks are available. 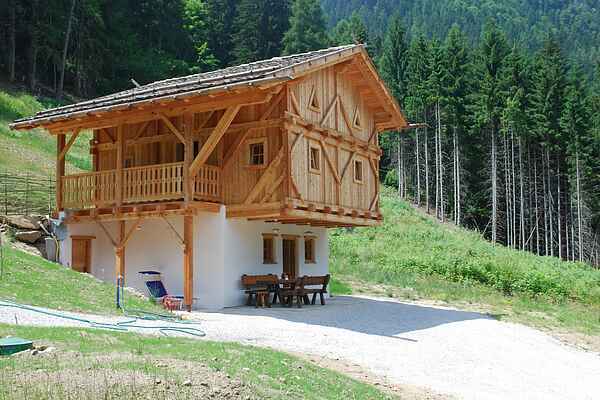 The hut is situated in a quiet and sunny zone in the heart of Val di Bresimo, in Val di Non. The building is suitable for families and little groups of friends lovers of tranquillity. Is absolutely forbidden to smoke inside the building.